Indian Association for the Blind (IAB) is an organization based out of Madurai, Tamil Nadu, India that works to educate, train and rehabilitate visually impaired persons. 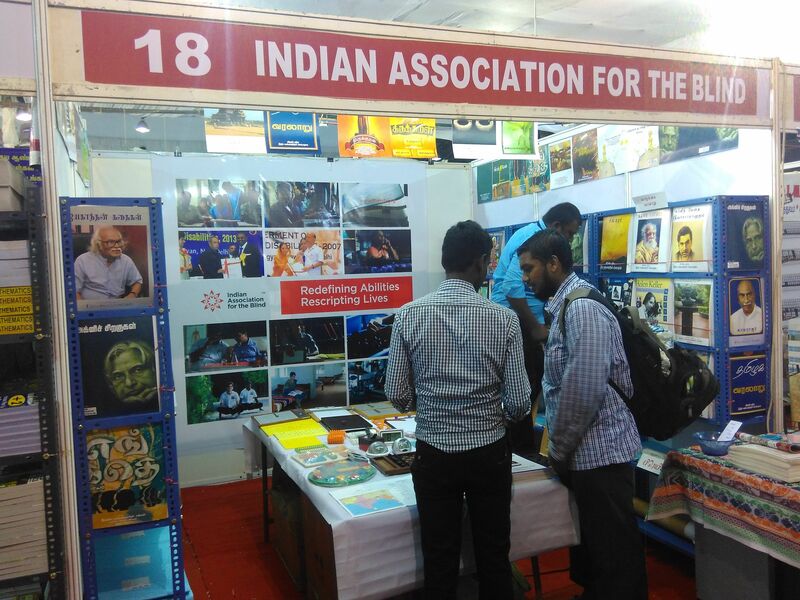 I met their representatives at the recently concluded Chennai Pongal Book Fair 2016 and was impressed with the books and articles they had in display to help blind people read. They gave me a CD containing the above embedded video – I think all of us should see it. IAB is located in a village called Sundarrajan patti on the outskirts of Madurai. It was created under the leadership of the great visionary Shri S. M. A. Jinnah in 1985. Since inception, it seems IAB has educated and rehabilitated more than 6000 visually challenged students. “Public is overestimating the problems of the blind people and underestimating their potential.” – S. M. A. Jinnah. “Blind people should prove themselves; they must work hard to become a regular citizen to the maximum possible extant.” – S. M. A. Jinnah. IAB has assisted and enabled visually impaired people to work both on campus and in mainstream institutions like schools/colleges, banks, telephone operators, call centers/BPO, etc. IAB has won many awards since their inception, including the National Award for the Best Institution – 2007 from the Honorable President of Government of India, Ms. Prathiba Patil. You should read the inspiring story of Shri. S. M. A. Jinnah, the founder of IAB, who lost both his parents when he was very young, and then lost his eye sight due to a road accident. He not only ensured to complete his school education rising from a hopeless situation, but also completed his college degree in flying colors, rising above even non-impaired students! For further information, visit the IAB website. Inspiring indeed! Glad you could hear their stories in person. Yes. I feel such initiatives should be spread as widely as possible. I have contributed my part. Wow! That’s so inspiring! Thanks for sharing and helping spread the word about the works and vision of IAB!